Wow, I'm feeling like on a marathon here! Three great memes were launched on the same day, and I love them all. Mary The Teach has another great meme called Window Views. It's really amazing how she comes up with these wonderful ideas. I already have so much fun participating at Ruby Tuesday and Sepia Scenes. My first entry here was actually taken by my sister in law with her NOKIA mobile, when escorting my daughter to one of our local malls. It must have been about 5 years ago, I'm not quite sure... 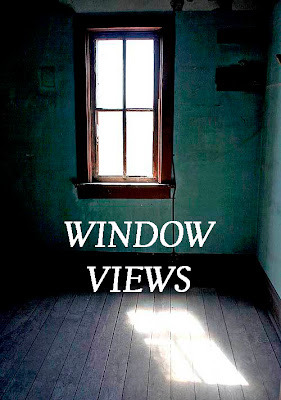 I picked these photo, because it seems to say "Welcome to Window Views"! What a sweet model in your window ! What an adorable young lady! It's just too bad that they grow up so quickly. Very nice post. I like you pictures too. Such wonderful places, so different from where I have lived. The Hamlet of Gordon, Ohio is where I was born and raised and it is how small hamlets used to be and this one still exists. Your little girl is adorable! Thanks for stopping by my blog. I got lost on yours. I am going to try this Skywatch too. Gorgeous Cutie Pie in the window!!!! 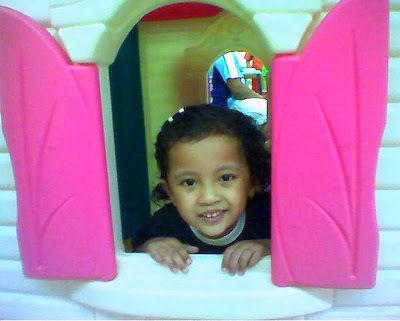 Enjoy her now ---as she will be grown up soon. My sons are 37,39 and 45... Yipes!!!!! Maybe I should join these new memes. Thanks for sharing. By the way, that is nice window view with cute child inside.. I would love to play these too, I'll have to think where to post it, coz my "today's blah..." is now full packed. LoL. It does look like she's saying, "Welcome..." What a fun meme. Maybe I'll play along too. Thanks for visiting my SWF post. Enjoy the weekend. What a sweet photograph. A precious child's take on window views. Very nice. What a perfect entry for a brand new meme. Wonderful! this is such an adorable shot!